Our Meet your Street crew have been out and about all over Selwyn most Tuesdays since November delivering free sausage sizzles and community catch ups. The gatherings have proven to be a fantastic way for new and old neighbours to connect, with the biggest one to date taking place recently in Woodville Street, Leeston with 58 residents attending. Another 10 Meet your Street events are planned before the end of March in Prebbleton, Coalgate, Lincoln, Rolleston, Darfield and Southbridge. The last four locations were decided by lucky draw, the winning streets where Sheridan Drive, Rolleston; Landsborough Drive, Darfield; Farthing Drive, Prebbleton and Station Street, Leeston. 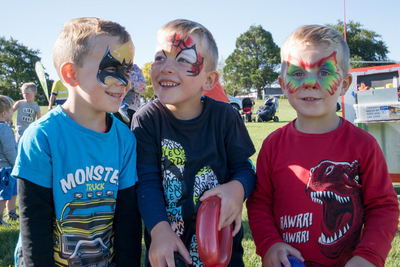 Along with the Council-led events, 10 Selwyn streets so far have taken advantage of the Council funding that is available to host their own Meet your Street events with nearly 400 attendees. If you are interested in hosting your own neighbourhood catch up, Council offers a subsidy of up to $75 per street gathering (conditions apply). Visit the Meet Your Street page for more information and to apply.